The price of pain is exceptionally steep, costing about $560 to $635 billion every year in medical bills, lost productivity and loss of income. Pain can be mild or severe, lasting anywhere from days to years, but it may not have to. Researchers are studying the use of CBD in managing and relieving pain. 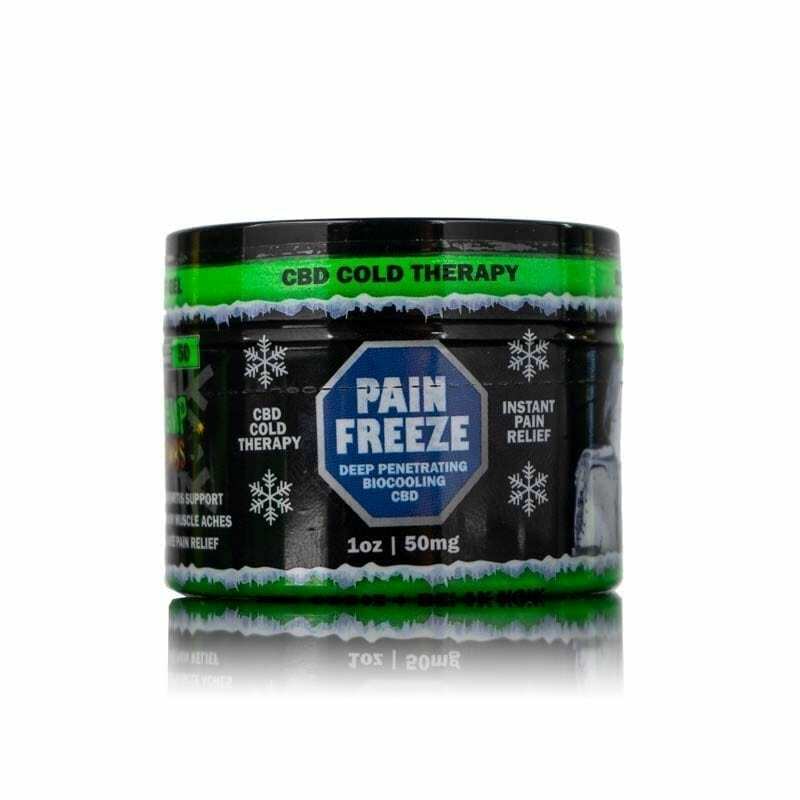 Hemp Bombs CBD Pain Freeze may provide a natural alternative to traditional medication which often comes with many adverse side effects. The anti-inflammatory and analgesic properties of CBD rub for pain may benefit anyone with short-term or chronic pain, post-surgical pain, arthritis, or general body aches and discomfort. CBD, or Cannabidiol, is a natural cannabinoid, or chemical compound, found in Hemp and Marijuana plants. At Hemp Bombs, we extract our CBD from non-GMO, superior-grade Industrial Hemp. This is because Hemp plants contain high concentrations of CBD, but only trace amounts of THC – the psychoactive cannabinoid in Marijuana responsible for a “high.” Using a CO2 extraction process, we can separate CBD from the other cannabinoid present in Hemp plants, like THC, resulting in 99 percent pure CBD isolate. This Hemp-derived CBD is federally legal and will not cause a failed drug test. We manufacture all our products in-house for quality assurance and have them third-party tested for accountability. If you suffer from cramps or joint and muscle aches, CBD rub for pain may alleviate the discomfort while healing the muscles underneath. This topical, cooling gel is made with CBD isolate, Aloe Vera, Tea Tree Oil, Vitamin E, Camphor Oil, and Menthol for maximum results. This product permeates deep into your muscles without leaving an oily residue. Our CBD Pain Freeze works with the Endocannabinoid System, or ECS, to affect change in the body. The ECS is a network of cannabinoids and cannabinoid receptors that regulate the immune response, manage pain and restore balance. The system responds to your body’s natural cannabinoids, like anandamide – a “bliss” molecule - as well as plant-derived cannabinoids, like CBD and THC. Unlike natural cannabinoids, CBD does not bind directly to the ECS receptors; instead, it influences changes in other molecular levels to restore balance. For example, when you feel pain, the body releases anandamide to bind to pain receptors and dull discomfort. However, this effect is short-lived because FAAH, or fatty acid amide hydrolase, breaks down anandamide very quickly. CBD stops FAAH from breaking down this molecule, resulting in higher concentrations of anandamide and longer lasting pain relief. The role CBD plays in reducing pain is essential and beneficial to those living in pain day in and day out. CBD is being lauded as a “jack of all trades” in the natural health industry because of its ability to ease a variety of health symptoms. CBD rub for pain may soothe even the most unexpected pain and reduce everyday tension. Sunburns can be unsightly and irritating, making it difficult for you to carry out daily activities comfortably. The Aloe Vera in our CBD rub for pain may calm irritation and reduce inflammation of the skin, while the CBD may promote quick and proper healing. CBD rub for pain provides relief for sore and aching muscles. It works with the ECS to reduce tension and dull pain. When you apply CBD rub for pain, the cooling sensation works to relax tight, stubborn muscles. Millions of people experience some form of arthritis, accompanied by joint stiffness, pain and inflammation. The anti-inflammatory properties of CBD rub for pain may reduce swelling and increase joint mobility. CBD encourages overactive immune cell death to control swelling and curb chronic inflammation. This musculoskeletal disorder affects more than 10 million people worldwide. This condition is characterized by chronic pain and “hotspots” in the neck and back with frequent spasms. Studies suggest that CBD may have antispasmodic properties potentially reducing spasms for those with fibromyalgia. One unexpected but beneficial use of CBD rub for pain is relieving post-workout soreness. When you weight train, you are creating micro-tears in your muscles, resulting in soreness the next day. CBD may accelerate this process and aid the muscles in repairing those tears. This fast-acting gel will have you ready to hit the gym again in no time. 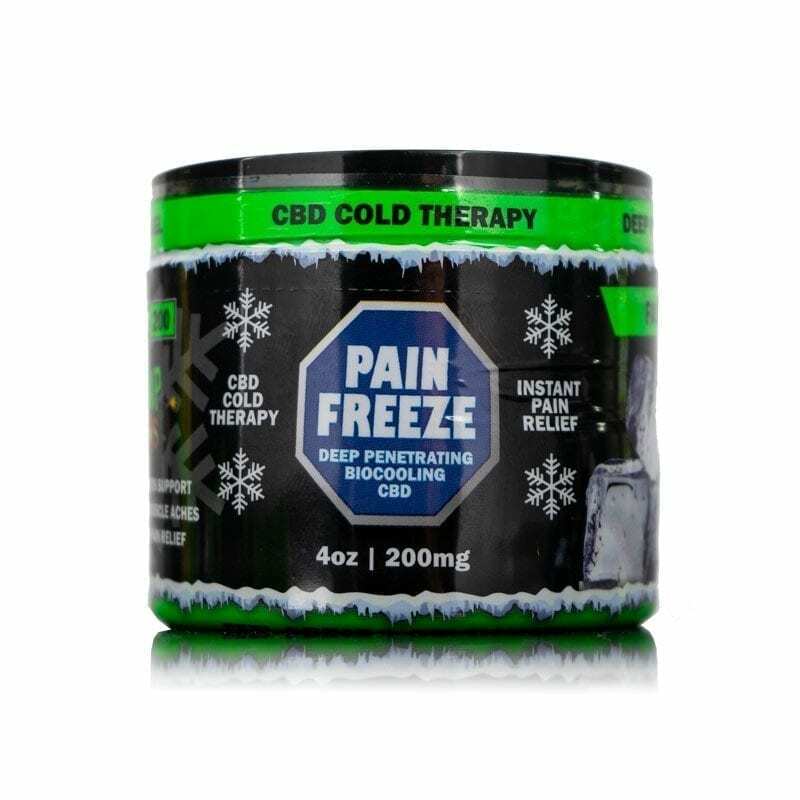 Hemp Bombs offers CBD Pain Freeze in 1oz. and 4oz. options with 50mg and 200 mg of CBD respectively. This potent dose of pure CBD isolate provides relaxation and healing benefits for aching and tired muscles. With our CBD rub for pain, a little goes a long way. Simply massage a small amount of product into the affected area; this manually relaxes our muscles while helping the CBD permeate deep into your tissue for total relaxation. You can use CBD rub for pain one to four times a day on small, targeted areas or larger muscle groups. Because CBD Pain Freeze targets specific areas of pain, consider using it in conjunction with our other CBD products for full body relaxation. Products like CBD Gummies and CBD Oil promote overall health and wellness by boosting immune system function and encouraging natural sleep. Incorporate this “miracle compound” and experience potentially pain-free living. Learn more about how CBD may alleviate pain and increase your quality of life. HuffPost – What Actually Causes Muscle Soreness When We Exercise? Leafly – What Is the Endocannabinoid System and What Is Its Role?